Hi. Any tips on the procedure to get rid of a humming foil; and what to use. It's a full carbon go foil. I can't feel any beads or marks on trailing edge of foil or mast. It's squared off from factory. Try a thin shim (milk bottle plastic) under back screw of back wing to very slightly raise the back of the wing. Plus I did a lot of 1200 wet and dry sanding of wings and fuselage. It worked for my KFA carbon foil. Rear foil hammers in tight with single screw so don't think I can shim. Each mast is supposedly custom fitted to individual wings and can not be interchanged. Kami you may be correct. It's a poor connect streamline wise from front wing to mast. I have dulled sharp edges and given trailing edges a light sand. I tried a light sand on trailing edges of wings yesterday but it still hummed badly. Maybe even worse unless I was just going faster. Another shark; only a small one today. I'm thinking his theory is correct about attracting them. Thanks for ideas. Kind of disappointed when you spend that amount of coin. Love the red wings but only if quite. I have also on some points eg screw heads etc smoothed surfaces with board wax. How tight is the slide on wing fittings, if a little loose maybe pack a bit. Also ask the manufacturer. All my foils are surperbly quite and vibration free these days. Only the rider needs a lot of improvement. My LF FF had a very quiet whistle when doing heel side carves. Same with the old Naish foil. I don't remember a noise from the Hoverglide, and that fitted even more clunkier than the LF or your Go. The DA I used in Japan had a constant medium-loud "hoo" when it was at foiling speed, but the one I rode in NZ was completely silent. Guy with Alpine Access foil has a constant very loud whistle the can be heard for hundreds of meters; by far the loudest foil I've encountered. The Access I rode (different foil) was silent. My Axis foil was completely silent, except for a small momentary squeak (like cork on glass) when heel side carving, at the point of max load and speed. The SUP foil was completely silent at all times. I had some hum from my moses 590 wing. None at all from same set up with 550 front wing. I painted it with primer and wetsanded it with 800g. No hum. Just kidding, but given my Zeeko B&W hums, this thread will make me explore options suggested, in particular the rear foil shim. However, I've clunked it so many times this could be a fool's errand. Noise comes from vibrations, and when it comes to laminar flow vibrations equals inefficiencies. Vibrations are caused by unequal pressures. Is it important ? For me where Im not looking for warp speed Im not fussed - but if I found the sound annoying Id be looking to findout why its happening! it means you are going fast enough and with enough control to relax your brain enough to let in that extra neural input. pump the air, hoot out loud, then get on with the progress. 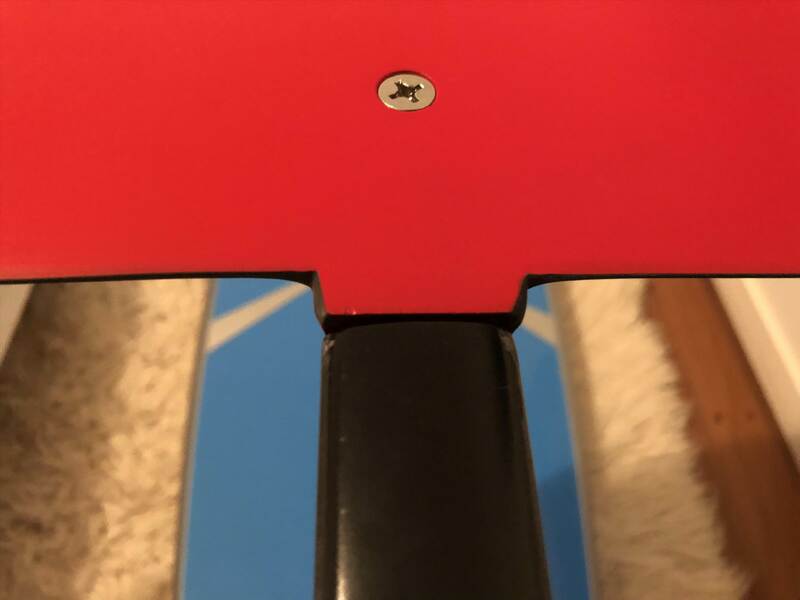 Take some ultra close up photos of the wing edges. I have seen tiny voids in the edges that you can't see with the naked eye. If they are there, rub in some epoxy putty, sand, paint and sand again and the noise will be eliminated or reduced. Yup. When I first switched over to the Spitfire XLW it was singing like crazy. Friends on the beach could hear it. Once I learned were the COG was it went away. Whenever I hear it now I know that I am not being very efficient with the foil. Saying that, I have heard other foils that sing regardless of where the rider is on the wing and that would require all the techniques that others have mentioned to quiet the noise. Thanks for replies. Some others I've been messaged are to mask all trailing edges and see if it stops. If it does; progressively remove tape until you find area(s). It's most likely to be in last inch of trailing edge. 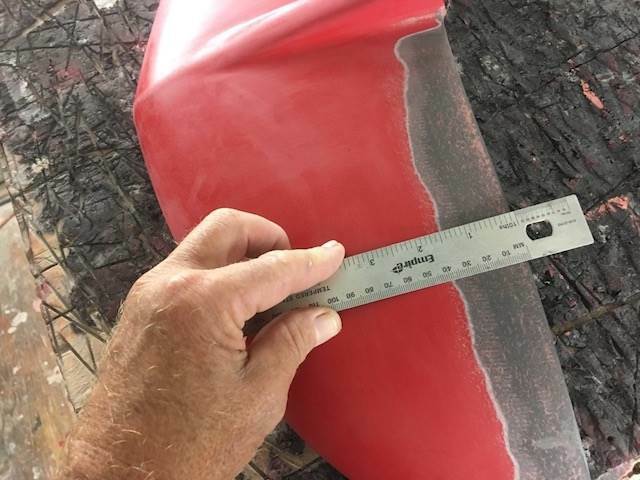 Fixes suggestions include sanding trailing edge square, sanding trailing edge 30 degrees, sanding and repainting, filling sanding and refinishing. I didn't realise it was so common. Apparently it drives the racers and sailing skiffs mad. As others have said just touching them with sunscreen on your hands is a no no. Some one will probably come up with a foil specific filler/polish in black. Im just waiting before I do any more as supplier suggests fix. I have a Nobile foil which makes a variable whistle depending on how high you are on the mast. I believe it is from the Nobile logo that is stuck on to the aluminium... I am going to work on sanding it off now but it was quite handy for learning as I know exactly where I an on the foil by the sound it makes, and when I am going to broach! A sticker that replicates this would be quite handy for learning I reckon! My foil whistles. I've done the sand and fill the pin holes thing. I think it'll try the masking tape thing. That will at least isolate where the whistle is coming from. On the issue of sharks. I've heard that the foils look like sting rays and this attracts the sharks. Not necessarily the hum. By the way, I too have a singing foil. Maybe some research to establish a hum that deters sharks. Could be worth a fortune. humming comes from the last 1/4" at the edge rounded to the edge. to sand it with sander up on its side a little and point load it about 1"
one is making the noise. Sometimes it can be both. yourself but a thinner trailing edge is usually quiet if sanded correctly. Why didn't go foil just do that at the factory?? Your paying around 2k afterall! Huming foils can be fixed by the sanding process on the trailing edge as described. I would be more concerned about the Shark attraction of foils agreeing with the similarities of foils to stingrays. Which are a favourite prey of sharks. Maybe the black and White strip Sea snake design may distract them into being too inquisitive. sharks are a problem in Nth NSW. Can we get a foil to hum a "country & western tune" that would surely deter sharks. 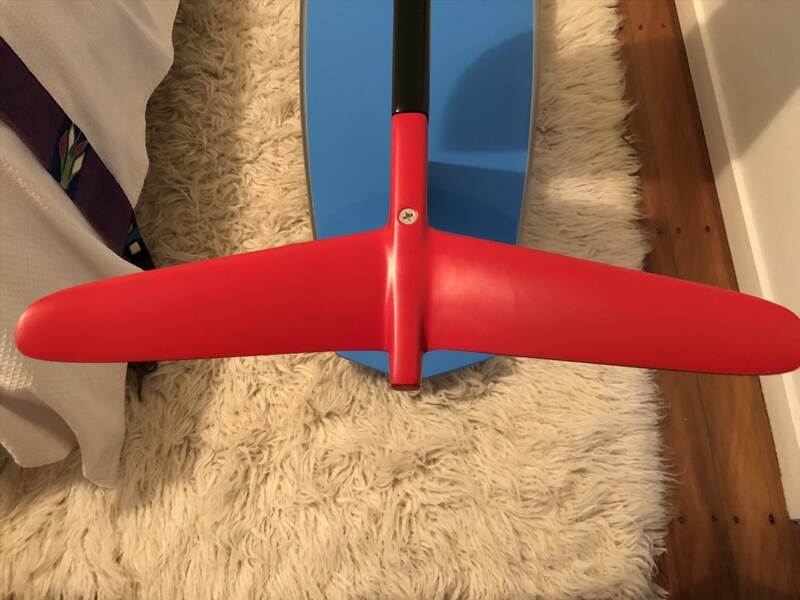 Have two GoFoil masts, Nalu/Kai/Iwa wings and the red/blue rear wings that I kite with. They ALL hum like crazy and drive me mad! I tried some light sanding but I haven't followed Alex's advice on taking the full 1" off the end yet. I have not read this post fully so I may be repeating others. I see some radical suggestions for fixing humming which may well work, if that is the problems source. I just want to highlight, that from my own experience, a hum can be caused a any little nick or imperfection anywhere. I have had a loud hum only the find a few swipes of sandpaper across a scratch on my wingtip fixed the issue. I tried light sand.. tape method.. those scratch repair pens.. playing around with trailing edges. It still hums. Maybe even more; or maybe I just ride a little faster. Not prepared to do the orbital sand & refinish on a new(ish) foil. Would be interesting to get a vinyl wrap on it to see if that stopped it. I'm guessing it's a design shape issue; more than imperfections. I was over in the states and saw the guy Jeff from kiteboarding.com. He glued two pieces of thin rubber trailing off the back of his stabilizer. He reckons that worked for him. The rubber, only about 2 cm long absorbed the resonance. My Zeeko did the same until I built a carbon stabilizer and the wining disappeared. I have the same sound on my Nobile at certain speed. Ha! Was just watching discovery overseas and it was shark week. In Australia, they were playing music on a speaker to attract sharks; not using chum anymore. Apparently their lateral line is sensitive to picking up vibrations over much larger distances from sound. So may be something to it. May be a bit of eyesight when close; and sound initially to attract in. In the mean time I'll be learning to foil at Kurnell in Sydney, next to Quibray Bay ( a Bull Shark breeding ground) and 500 m from a designated dog recreation beach (aka - dog swimming area). It actually come from a fine and sharp trailing edge. If you file it back square you might eliminate it.. Try talking to guy's at your local sailing club that sail fast..and foil.. I mean really fast cats, they know why you get humming. It's like a 35 year old problem not a new world problem just for hydrofoils.